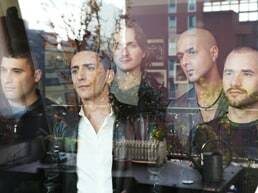 RAI, the notable Italian broadcaster who is a member of the elite five at the Eurovision Song Contest has proudly committed to the event in recent years but nevertheless, still hosts a music festival for the Italian music industry with the beginnings of the European competition lying solely on the success of Sanremo. This evening, the renowned Italian town will once more be hosting an evening filled with music and it will be quite an entertaining evening due to the fact that artists competing in this years' Campioni category will take to the stage to perform some of the most notable hits from the history of the showcase. In the meantime, the final four of the Giovani will compete for that elite prize, one which will catapult them to fame in the industry. This years' edition of Sanremo is being organised by Fabio Fazio, a renowned television presenter who is leading the showcase for the third year in his career. 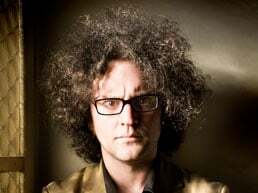 He is joined by Luciana Littizetto, a comedian who knows when it has become too much of a thing and thus been very light and funny at the same time. Her squeaky voice has not gone down well with international viewers but nevertheless, she does indeed get the job down. RAI 1 has been the broadcaster taking lead over the coverage and as a matter of fact, with around ten million viewers in Italy viewing last nights' proceedings, it is still extremely popular and many will tune in once more to see how the evening unravels. The running order for this evenings' show could be seen below and the international public could view the show through the official website of the broadcaster. Luciana Littizetto and Fabio Fazio come down the stairs for this evenings' hosting duties and for the first time this week, the male host is wearing a completely different suit, probably due to the fact that this evening is somewhat more significant. He is joined by a lady who squeaks like Minnie Mouse but is wearing a beautiful cream dress. The hosts are somewhat prolonging their opening speech today but nevertheless, they do state that this is a historic evening in which the youngsters will fight to win the competition whilst the established ones will have their take on notable classics. Malika Ayani is the first artist to take to the stage and she is wearing a sleek beautiful black dress whilst being accompanied by two male dancers. The staging is just beautiful featuring blue and pruple and it seems that one will be relaxing quite a bit tonight because this showcase is just a reminder of the beautiful history that Sanremo has been proud to offer. The vocals are slick, and right on point and that has been the case with Malika throughout the rest of the week. It is quite intriguing to see this performance develop. 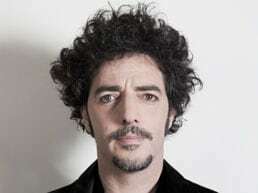 Daniele Silvestri is one of the favourites for this years' edition of Sanremo and that is quite easy to denote especially due to the fact that he is presenting a specific message in his entry. Nevertheless, this evening, he has decided to take an intriguing track, away from the piano and more in the element of Lucio Dalla. The vocals are just beautiful and one just enjoys himself listening to the tracks that have made the history of the competition a reality. He decided to take to the stage by himself actually and that makes it more unique in terms of presentation. Annalisa, another contender to head to the Eurovision Song Contest is joined on stage by Emma Marrone, last years' winner of Sanremo and they are both clad in black clothing for this evenings' showcase. Per Elisa is one of my favourite tracks in Italians and the orchestra is clearly spot on with the performance considering that this track has a lot of violins. The vocals are both strong and strangely enough blend in well together, Both girls are the output of Amici and thus, it shows that some strong talent has been found over the years. A beautiful performance! Marta Sui Tubi are clearly trying to win back some respect with me personally after having the people listen to their atrocious entry throughout this years' Sanremo competition. The stage is dark, green and blue and they have a guest in the form of Antonella Ruggiero who is clearly the star of this performance. She is clad in dark attire and is wearing a flower on her hair. Her sultry Italian vocals are just stunning and she should take his spot in the competition with a song of her liking as long as her vocals are showcased. The lead performer of Marta Sui Tubi is accompanying her well. It turns into an umtempo number and I quite like this. Raphael Gualazzi is doing what may be my favourite ever song in Italian, Luce by the stunning Elisa and he is definitely giving it his touch. He is sitting down on the piano as always, and his eyes are closed and looks like he is constipated, something which does not come across very well. I cannot believe it but despite being a great performer, Luca will always remain best in its respective version and not in a weird jazz like version which is barely understandable. It is hurtful to say it, but he ruined it completely and this has got to be the worst performance of the evening. I really hope that things improve from here on end, because he might have just tarnished his victory chances for tomorrow. 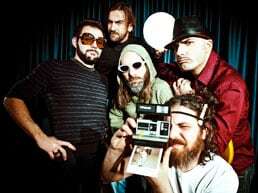 Moda are one of the most popular bands in Italy at the moment and this is shown with their runner-up finish in Sanremo just a couple of years back whilst also being second in tele-voting at the moment. The lead artist has a beautiful pitch to his vocals, and he takes on a remarkable track, giving it a slight rock touch. Io Che Non Vivo is a beautiful track and will definitely stick into the minds of people when the evening comes to an end. With several light changes throughout that performace, have to say, it was pretty incredible and clearly shows Raphael Gualazzi how a take on a song should sound like. Simone is renowned for his big hair and also for winning the 2007 edition of Sanremo but it is remarkable that he has gone for an extreme classic for this evenings' performance. Wearing a classic blaxk suit, he seems to always be sick with rosy cheeky and a red nose but nevertheless, that does not take away anything from his talent, stunning crystal clear vocals this evening. He has been improving with every night this week. The people are enjoying this performance and mid-way through decide to clap. The strings section in the orchestra. Peter Cincotti and Simona Molianari have really ranked high in my estimations as of late and I have been quite impressed with the overall performances they have given this week and this evening is nothing short of breathtaking. They are giving a sultry performance of a classic and with stripped backing in terms of orchestra, it sounds even more beautiful. Such songs have lived through the course of time and their performances tonight reflect on their appreciation by the leading stars in the industry. This was stunning, and heartfelt. Perdere L'Amore has got to be the most beautiful song ever and I must say, that I am writing this knowing what a stunning performance Lara Fabian tends to give. Maria Nazionale is in a league of her own and the two vocals are distinct and both beautiful in their own way. The orchestra has decided to adapt the song to the vocals of Maria and nevertheless, there is a certain element of professionalism and lust about the whole presentation. The staging is kept quite dark with blue and red being used. Her tight dress suits her and she is enjoying every second. A class of her own! Marco Mengoni is becoming more and more likely to represent Italy at the Eurovision Song Contest because he is keen on the idea of expanding his career beyond national borders. He is wearing a black suits and keeps very traditional within his performance. Backing vocalists give the track definition but this is the type of song which he should really be singing because that performance was just stunning. An emotional Marco Mengoni finishes off the performance and it shows that this is a track which means a lot to him! The Big Band Brothers would definitely be proud of this performance because following a retrospect introduction come Elio e Storia Tese. All of the members of the group members somewhat have extremely large minds and they have no problem showing them and this is more of an image issue really, giving them distinction amongst the other acts. The song seems to be a mixture of genres and this is coming across nicely on screen. Mid-way through, they have a conversation with the same man who introduced them and the performance continues. They are just mad, but I like them and this performance is great! Max Gazze, an artist who barely needs any introduction having achieved success during the past two decades. His outfit resembles that of a circus master this evening and turning around to view it in full, it seems that he might have killed a peacock for the back feathers. This is a great vocal performance though and therefore, Max is continuing the trend of great performances this evening. The audience were not really moved with the performance though but nevertheless, they applaud at the end as expected. That was the twelfth performance of the evening and next up will be Chiara. Chiara, still the odds on favourite to win this years' edition of Sanremo is set to sing the ultimate Italian classic, Almenu Tu Nell Universo wearing a long black dress. The winner of the last edition of the X Factor is somewhat lacking the skills to perform this particular song and she sounds at times extremely nasal but nevertheless, she does give it her all. It seems that her soft vocals are just not ready to perform such material and this is the second carcrash following Raphael Gualazzi. The stage is shining in blue lights during this performance and the people are not enjoying this, despite being an overwhelming classic. Almamegretta have seriously become the joke of the competition because they seem out of touch with regards to the stage and have somewhat presented material which has not really gone down well with the public hence their disappointing tele-voting result. They are joined by Italian James Senese this evening and it seems that this is a mixture of reggae and rap, whilst this is supposed to reflect history and once more, another track is currently being butchered on television. How disappointing when one considers that this was a night of respect towards the great Italian industry! Following a number of extended breaks, our hosts for the whole week are currently introducing the final of the 'Giovani' this evening and a matter of fact, half of the votes will be decided by tele-voting with the other half being within the hands of a professional panel of judges. Each participant has a conductor and one of them will be crowned winner at the end of the evening. A brilliant track and Antonio seems extremely confident of his performance as he takes to the stage wearing a dark suit with a studded purple bow-tie. The genre of the song is slightly unexplainable really although one could instantly get the element that Malika has seemed to have introduced to the seen, made even more popular by Arisa in recent years. The vocals this evening are much better than yesterday and I believe that this could be crowned as the winner at the end of the evening. The male backing vocal is really a qiuant addition to the whole setup. This is coming across as great, and whatever happens, this will chart well. The first line of the song is performed without any music but it does indeed introduce something completely different because Ilaria Porcheddu has been coined to be the revelation of this years' Sanremo and the use of various instruments throughout the performance should be praised. It seems that she spent a lot of money on the dress because it returns for a second appearance this evening. She is performing the track well though and her pristine vocals which could also carry her to the finish line in first place. It is well worth noting how strong the competition is! Once more, Italy has found a star within this category and her name is Ilaria! OK! I have no clue how to comment on this song once more having literally obliterated this one during the performance that took place two days ago. I just cannot understand where this pop/rock song is heading, especially with such dire vocals. The staging is the only element which one denotes as brilliant because the change in genres throughout is well noted. Coming after two masterpieces, this sounds absolutely inferior and one would not understand how things came in this manner because there were better songs on the first night. Nevertheless, it is here and should finish in fourth (last) place! The fourth and final entry from the Giovani section is currently performing on the grand stage of Sanremo. The music is somewhat very similar to what the local people here in Malta would associate with the Għanja tal-Poplu competition which is extremely traditional. Raphael Gualazzi is the first name that comes to mind when I see Renzo Rubino performing his entry but nevertheless he connects much better with the camera and once more, the addition of a tenor as a backing vocal is a good idea because it gives the song an edge. This would have most likely done really well in the context of the Giovani category but Ilaria and Antonio are superior. RAI, the broadcaster responsible for the participation of Italy at the Eurovision Song Contest has gained worldwide recognition for hosting the annual Sanremo competition in the Ariston Theatre and this year will be no different. The music competition has become somewhat of an institution and the 63rd edition will prove to be slightly different due to the fact that each of the selected artists will be performing two entries in the category formally known as 'Campioni' with reference to some of the renowned performers in the industry. The acts competing in the 'Giovani' category will be presented this evening but will not be performing according to our sources. The show could be watched through RAI 1 on Satellite, although one could find it on Reception Television. Follow the show online through the official website of the competition. The entry for the Eurovision Song Contest will not be the track that any of the artists will be performing and this is due to the fact that the record label would rather select something more international, as was the case with L'Amore e Femmina (Out of Love) by Nina Zilli in 2012, managing a ninth place finish after a mid-table result by the public and a top ten placing through the panel of jury. The year before that, Raphael Gaulazzi, a newcomer had managed second place with his Madness of Love (Follia D'Amore) and that put things into perspective. This years' Sanremo competition is being hosted by Fabio Fazio and Luciana Littizzetto, the former being none other than the producer for this years' proceedings. The first seven acts will present two entries each today, with another seven acts presenting two entries tomorrow. On the third night, they will be returning with just one song each though as the delibaration between the orchestra, public and the media will decide. Honestly, it is brilliant to hear the Te Deum at the beginning of the broadcaster and following a quick word regarding adverts, Fabrizio Fazio is on stage wearing a black suit with a white shirt, black tie and looking ready to take over this show. The orchestra of Sanremo is already pretty busy because they are playing one of the successful compositions by Verdi. It wouldn't be Italian if a choir didn't show up on the opening night of the competition. Nevertheless, this adds to the grandeur of the show. This is absolutely beautiful and a roaring applause from the audience inside the Ariston Theatre. What a stage, this is incredible and several broadcasters should take note how a show should be hosted! Luciana Littizzetto has just arrived at the venue wearing an Audrey Hepburn inspired outfit and what is so stunning about this entrance is that it feels like it has come out of a fairytale. A monologue by our female host this evening, which includes several comic references including to the Former Prime Minister, Silvio Berlusconi. Following a commercial break, things are moving forward as our female host introduces the orchestra conductor and the first artist. L'Essenziale: Marco Mengoni is wearing a navy suit, a colour which is very much in fashion this year especially with regards to the males. This is one male artist who doesn't require an introduction having become famous through a talent show in Italy. The track, is a mid-tempo track which is being well received in the hall. His vocals are spot on this evening and it seems that he is enjoying his performance. The stage, incredibly bathed in blue and purple lights is just stunning and you could just look at it without noticing what's going on. The bridge is slightly a disappointment compared to the rest of the song but nevertheless, he picks it up well with the vocals and that is quite important. A good opening entry and loving the diction of the Italian. Bellisimo: Well, I am not sure that it is a good idea for the same performer to sing his two entries right after each other and now we have a second track, an uptempo song which Marco is enjoying even more than his first performance. The lighting in this one is a mixture of red, yellow and blue but nevertheless, the focus is definitely on the performer whose stage charisma has come an extremely long way for his initial performances a couple of years back. He is the favourite to represent Italy in the Eurovision Song Contest and any one of these two entries would do well, although my theory is that this one would do better, especially as it has the addition of a guitar, and some backing vocals, giving it edge. Whoa! Am impressed earlier on! 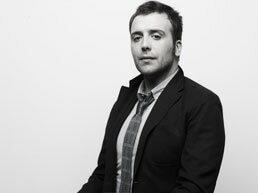 Senza ritegno: Raphael Gualazzi, the 2011 representative at the Eurovision Song Contest is at ease as he takes to the stage on his piano, an element which has somewhat made his career as successful in recent years. He is wearing a blue suit, and it very much shows how much male artists in Italy look after their image. This is a pop song infused with jazz and his vocals, are as always, over the top but nevertheless beautiful. He is closing his eyes throughout the whole performance but it gives him solitude and characterization. The audience is not sure what to make of this performance but one gets the feeling that the orchestra are pretty much enjoying it. I am not sure such a song would be well respected at the Eurovision Song Contest because it comes with a particular audience. Sai (ci basta un sogno): The second track being presented this evening is completely different from the first but one does initially get the feeling that Raphael is going to have difficulty performing this because he is being forced slightly from a vocal perspective. The musical notes in this one are much more beautiful, and it builds up beautifully with the piano, which he is playing once more. The star quality surrounding Gualazzi is stunning and he enjoys performing to the audience. This would definitely be a hit in Italy, although his vocals are sounding slightly strained to be honest and that could very much be the downfull of the track. Hitting the upper register was definitely not an issue but the people are clapping mid-way through and this seems to be the favourite to qualify out of the two! A bocca chiusa: A typical entry for the Sanremo competition and Silvestri like his previous performer is playing the piano and suddenly, an orchestra is picking up the music and there is an element of silence about this song giving it an edge over the tracks performed before hand. This will be definitely one of the songs which will do well in the final night and something in this manner would very much be appreciated abroad. The vocals are good but one has to point out that it sounds more like a conversation between the performer and the audience. Behind Silvestri, there is a man who is doing sign language. The harmony near the end of the song is just beautiful we might have heard this years' Sanremo winner! I am actually sorry that I did not write more but it was too good to concentrate on writing at times! Il bisogno di te (Ricatto d’onor): Daniele Silvestri takes to the stage to perform his second entry this evening and it is completely different from the first one which does not actually mean bad news because this is a pop track which sticks out from the rest. He has the additional female backing vocals in this one and that gives it a different sound. Nevertheless, despite being more modern than the first one, and the fact that the vocals do indeed sound more whole in this one, the other track is much more emotional and the people will surely head emotion considering that Valentine's Day is just around the corner. Daniele Silvestri might have it his way this year though! Enjoyed this performance but nevertheless, things are turning out to be serious as the hosts quickly stop the tele-voting. Dr. Jekyll e Mr. Hyde: A duet, the first and online of the evening is based on a novel, and a musical so we have to see what type of genre they will potray. Simona is wearing a short dress, which involced a red shirt and a silver blouse. Old school is the best way to describe the genre with big band fused into soul. Peter Cincotti is wearing a black suit and is very classically dressed near his duet partner. The staging is a mixture of red and blue, and once more, this looks incredibly on screen. That line in English goes a long way for the foreign viewers and the piano playing mid-way throug the song is also a positive addition to this track to which I am bopping my head to. The quality in this years' edition of Sanremo is stunning and RAI should be commended on the production values. La Felicità: Once more, this big band sound sound very positive and the orchestra is playing a major role in the delivery noting that the playback version might not be that effective. Simona's vocals are much better in this track and one has to enjoy the background vocals of the male because they give the song a bit of distinction. The other song is more original musically but this one is performed extremely well. In Malta, this genre is somewhat attributed to Janvil and thus, here comes the Italian Charleston. This is catchier and more easy going on the ear. I really hope that this is the one which ultimately get through. Simona speaks about how much fun she had performing the songs. Dispari: I have been warned that this will be very much love or hate and indeed, it is quite different to what has been played thus far, and following a long break, honestly, this still sounds better. The leader performer is wearing a typical rock ghetto and he seems to be sporting a moustache in the vein of Freddie Mercury. The song is somewhat undescribable as there is a fusion of several genres. The vocals are as good as one believes they should be in this type of song. Loving the cellos and the guitars mid-way through the song but this is not in my alley and the choice in my opinion would be on the song which I hate, the most! Vorrei: This is a much better song than the first one but seriously, could somebody tell the lead performer that he cannot sing, he is straining the opening notes of this one and it sounds extremely wrong. The guitars are once more playing a huge role in this performance, and as a matter of fact, there is some authenticity. Shouting, Shouting, and more Shouting, gives you credibility in Italy it seems. Whoa! It seems that the break was actually better, as this is turning out to be a nightmare. There has to be one artist to spoil the fun at Sanremo and it seems that Maria Sui Tubi works all those angles. Both songs should be eliminated by one will have to pass! Quando Non Parlo: Maria Nazionale and her deep vocals take to the stage of Sanremo wearing a flaming pink dress. Ethnic and flamenco would be the best way to describe the genre of this entry and once more, the orchestra is very pivotal to the overall outcome of this track. As a matter of fact, there are a lot of Spanish eleemtns in the song, similar to something that would be performed by Monica Naranjo or Pastora Soler. The performer in the meantime is enjoying herself quite a lot on the stage and would do with a bit of dancing around as seen during the Melodi Grand Prix final with Lucky Lips. The lighting is stunning, with blue being predominant in order to make her stand out more. Beautiful track, I really like it. E’ colpa mia: A whole flock of violins kicks this track off and one could easily note that this is more suited to the Italian market than the previously presented track. The music is kept to the bare minimum and that is why Maria's vocals shine through the song because she carries is beautifully. The people are enchanted by the vocals and they applaud loudly as it comes to an end. It is emotional and beautiful in every sense of the word and I cannot really identity Maria with being an Italian because she has a lot of sensuality about her making her sound extremely Spanish. Nevertheless, another contender for the victory at the end of the week. L’esperienza dell’amore: The first track from this years' bookies favourite, Chiara is a pop/rock type of ballad which evolves well. 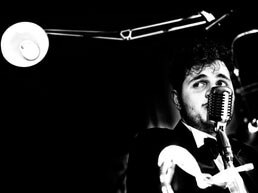 We have an artist who is somewhat inexperienced having just come out of the X Factor Italia competition a couple of months back. She is performing this as if it is her last performance on earth but I am not sure about the song per se, because it seems like it doesn't really go anywhere and it makes it difficult to really weigh in the seriousness of the performance. Her vocals are good, nothing outstanding but nevertheless, left a bit cold after stunning performances from Maria Nazionale and Daniele Silvestri. Il futuro che sarà: Well, this is a completely different side to Chiara and the one which I was expected to come out relatively earlier. A jazz, soul type of genre complementary to the vocals that she knows to provide, with that slight raspiness. The track is much more current and would be more liked by the audience of the Sanremo competition, which is slightly older. Nevertheless, I still do not believe that Chiara has a winning entry in either of the two tracks but this is definitely the track that should head onto the next round because the other one was just plain disappointing. I believe that we should expect stronger tracks tomorrow but this evenings' winners were clearly singled out. The first evening of the Sanremo competition comes to an end as Fabio Fazio and Luciana Littizzetto recap the performances of the evening, those which did qualify and which will be performed for a second time on Thursday evening following the choice of another seven tracks tomorrow evening. Tune into escflashmalta.com for another LIVE Report from Sanremo 2013 as Marc Calleja Bayliss reviews the performances. Thanks for tuning in this evening and a hearty congratulations goes to RAI for putting up a magnificient show. RAI, the broadcaster responsible for the participation of Italy at the Eurovision Song Contest have enjoyed relative success on their return to the competition in the past two years with the acts chosen from the Sanremo competition achieving top ten results. An internal panel of appointed music experts were behind the initial two decisions whilst a consensus also needs to be reached with a particular record label which would represent a number of the competing artists within the competition, whether in the Campioni or the Giovani category. Rumours have been on the increase in the past couple of weeks, noting that the public would like to see Marco Mengoni fly the flag on behalf of the country. It could be a strong consideration if the broadcaster, RAI is aiming for high viewing figures. This years’ edition of Sanremo will be taking place in the week starting 11th February and escflashmalta.com will be on hand to cover the event in the best possible manner. Our senior editor, Elaine Camilleri will be taking over her annual duties to cover the event along with the rest of the editorial board. Italy have won the Eurovision Song Contest on two occasions, the first time in 1964 with Non Ho L’Eta performed by Gigliola Cinquetti and the second time in 1990 with Insieme: 1992 sung by Toto Cotungo. RAI confirms that the choice of the artist will be made from the Sanremo competition and therefore the list of potential candidates has been brought down to twenty one (21) acts in total, eight competing in the Giovani category with thirteen (13) competing in the Campioni Category. The list of potential representatives could be found just below. Whilst it is highly unlikely, there is a possibility that former representative; Raphael Gualazzi might be select to represent Italy for a second time. 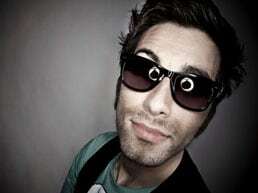 He has gained considerable fame since his experience in Dusseldorf and might choose to take up the proposal again but in the meantime, there are a number of intriguing candidates including Max Gazze’ who has performed with 2002 Eurovision Song Contest representative; Ira Losco in the past couple of months during one of his notable tours. 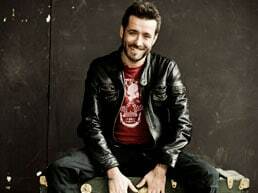 Competing in this years’ Sanremo as well is former winner; Simone Cristicchi. In the meantime, we would like you to stay tuned to escflashmalta.com for all of the latest news from this years’ edition of Sanremo as well as the Eurovision Song Contest taking place in Malmo, Sweden. RAI has always been extremely influential in the concepts adopted by the European Broadcasting Union and in fact, one of the most popular music competitions to take place in Europe is surely Sanremo noting that surrounding countries are known to tune in and increase viewership during all of the evenings especially because the cream of the crop are always known to be in the final running order. Just a couple of hours ago, the broadcaster made the revelation of the fourteen artists who will ultimately compete for the elite prize. One of the acts will most likely also become the Italian representative at the Eurovision Song Contest considering that this years' representative; Nina Zilli competed amongst the established performers and ultimately achieved ninth place in Baku, Azerbaijan with her track L'Amore e Femmina despite being one of the bookies' favourites to win. The fourteen acts that will be competing in the next edition of Sanremo will be performing two songs each and this element has been introduced by Fabio Fazio, the new director in a bid to let all of the renowned artists chosen to compete throughout all of the week with the best possible song as chosen by the jury and the public. The list of performers is actually quite intriguing this time round as it seems that there is more star power than the past two years in particular noting that artists from reality shows such as X Factor and Amici make a comeback in the form of Annalisa and Marco Mengoni. The latter is apparently the favourite of the public to represent Italy in the next edition of the Eurovision Song Contest and therefore his participation in Sanremo makes this a viable option by RAI should the broadcaster and his record label come to a general compromise. It is quite intriguing that former winners return to the fray and 2013 seems to be no different because Simone Cristicchi who was propelled to fame following his victory in 2007, returns as well along with the 2011 runners-up Modà. Nevertheless, the biggest surprise is surely when it comes to Raphael Gualazzi who represented Italy in the Eurovision Song Contest held in Dusseldorf, Germany back in 2011 with Madness of Love finishing in second place just behind Running Scared performed by Ell & Nikki on behalf of Azerbaijan. Italy won the Eurovision Song Contest twice, the first time thanks to Gigliola Cinquetti with Non Ho L'Eta and the second time round with Toto Cotugno and his track Insieme. Stay tuned to escflashmalta.com as we keep you posted with all of the latest happenings from Italy as we plan to cover the selection procedure as it unravels as we had done earlier year.